I’m reading Living Underground by Ruth E. Walker. And I’m really pleased to have her here today to discuss her books, her views and she’s going to tell us a story, too! Thank you, Laura for inviting me to this online interview. My name is Ruth E. Walker and I write professionally in communications for the provincial-level government in Ontario, Canada. My passion is fiction and poetry, and I have work in Canadian, U.S. and U.K. journals and anthologies. I also teach creative writing in workshops and at writing retreats. 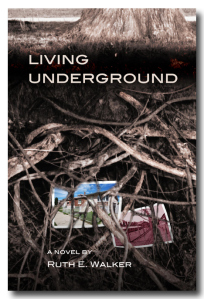 My debut novel, “Living Underground” was published September 2012 in Canada by Seraphim Editions and is now in its second printing. Readers outside of Canada have ordered it through amazon.com and thebookdepository.com. An e-book edition is about to be launched (February 2013) on Amazon. 2.) What project-in-progress would you like to discuss today? Sheila Martin’s dismal childhood in suburban Toronto, Canada is irrevocably transformed in 1967 when Sigmund Maier, the family’s enigmatic German-immigrant tenant, introduces her to opera, music and much more. When he reappears in her ordered and successful adult life, Sigmund asks for her help with what he says is a simple immigration issue. Will she now discover the truth of why he vanished years ago — and why she still longs to know what happened to him? Sheila soon discovers that “truth” has no clear definition and memories are nebulous as she is drawn into the turmoil and accusations surrounding his life in Germany before and during World War II. As she struggles with her own issues and family conflicts, she is forced to finally confront the secrets she has held for over 30 years. Moving back and forth in time, “Living Underground” explores the ambiguity of human emotion – how our natures can embody both the ideals and delights of love alongside the most base and dispassionate sensibilities. Some puzzles have no solutions but sometimes asking the questions matters more than discovering the answers. “Living Underground” was inspired by a private and meticulous German immigrant who rented our family’s basement apartment in suburban Toronto, Ontario in the 1960s. This strange foreigner who moved into the apartment brought only his clothes and toiletries. I knew this because I helped my mom with weekly cleaning duties in the apartment. His shoes were polished and lined up in a perfect row beneath his neatly hung clothes. He had no books. No magazines. No photographs. Not even a newspaper. Nothing that spoke of a larger life and he left a few months later, without a forwarding address. Even as a kid, I wondered who lives like that? And why? I started a short story to figure out some of that mystery. The story got away from me and became a novella. The novella finally became a novel, set in Dresden, Germany in early 20th century, in Scarborough, Ontario 1960s and finally, in Toronto in the early 2000s. I’ve long puzzled over how we can enjoy ordinary lives, and then go out and do unspeakable things to others. We humans are so good at compartmentalizing aspects of ourselves — at disconnecting emotions at will — often for reasons of survival. I have several scenes that underscore that theme but I don’t think I’m any closer to understanding what I’d hoped to. Perhaps the important part is simply being able to ask the questions. I compromise. I have a husband who supports my life as a writer. He also compromises. I constantly work at the balance of being part of ordinary life and the need to disappear into the work. Life includes family and friends, a paid career in non-fiction writing, grocery shopping, weekend trips to the cabin, taking in a good movie, walking the dog–all the usual suspects of an ordinary existence. The work includes immersion in a story or character or structure or description so compelling, I lose sight of all the rest. There is no formula. There is only the hope that I’m doing what I’m supposed to be doing at the right time. I’ve never been to Germany but I am fascinated by history. And I am interested in world news and events. My knowledge of Germany has always had this thread that leads to the rise of Nazism and WWII. But until I worked on the novel, I never thought of it in terms of the effect on ordinary Germans, of how events and people conspired to make the conditions of Nazism possible. Around the time we had our German man living in the basement apartment, I was a pre-teen and reading material beyond my years. I read the “Rise and Fall of the Third Reich” and was especially appalled by details of the concentration camps. Those images coloured my perception of Germany from then on. Add to that my interest in current events of the time, and a divided Germany of West (good) and East (bad) became another thread. Of course, as I matured, I learned that “good and bad” are merely simple designations. There is nothing in life so simple or clear. I did not start to write creatively until I was nearly forty but it meant that I was ready to explore the complexities of life. The past twenty years have been spent writing fiction and poetry that often explores our desire for simple truths and the reality that there is no such thing. My research for “Living Underground” was extensive. But most of it I conducted after I had a first draft of the novel. All I knew about Dresden was that there was some lovely china from there and that it had been bombed in WWII. I am now much more awake to the events and mechanisms in place that fuelled the rise of Nazism and the horror of The Holocaust. I also learned about the destruction of the beautiful city of Dresden — of the magnificent art and architecture obliterated — of the thousands of refugees and the ordinary citizens of the city, asphyxiated or burned to death in this cultural jewel. So much to mourn on all sides of that war but I had only been seeing one side of it. I think that the sprawling scope of any conflict is better absorbed through individual stories. My novel includes a glimpse into the story of Sigmund Maier, a boy born in Dresden in 1915. Readers come to learn how his world conspired to shape him into the man who profoundly changes the life of a young girl decades later in Canada. The day we tried to sing the young whales back to sea is the day the ice filled in the bay and cut off their escape. All three of us, my blind son Charlie Birdsong, his girl Maryann and old crippled-up me, we were too late to save the last of them. I write this so that when rescuers come, they will know the whales either starved or drowned, in much the same way that we, the last people in Big Goose Islet, will also end our days. We have an off-grid cabin 2 hours north of our home just east of Toronto. The tree-covered hills and rocky outcroppings of the landscape inspired early settlers to call it The Highlands, in honour of their Scottish ancestry I suppose. At the forks of where two rivers meet, our cabin (Twin Pines) is boat-access only and is a lovely escape for our family. Sitting by the campfire, surrounded by massive white pines, firs, cedars and birch trees, is a wonderful escape for three of four seasons. Winter makes it off-limits because the rivers never freeze enough to safely cross. I also take advantage when I can of the wide range of culture offered in the greater Toronto area and in our local region: operas, plays, musicals, literary festivals and readings, etc. I teach creative writing through workshops and writing retreats. I am passionate about how words can change perceptions and inspire new ideas, and I love to share that with other writers. I think writers hold a mirror that reflects our society. We cannot force people to look into that mirror but we hold it, nonetheless. My website www.ruthewalker.ca has a detailed biography and information on readings, interviews and public events I’ve been to, as well as book club information for readers who belong to book clubs. And anyone interested in my creative writing workshops or retreats can visit www.writescape.ca which is the site for Writescape that my business partner Gwynn Scheltema and I run. Everyone says “read” and I agree with that. I’d also say “read widely”, meaning read things you never thought you would. A brilliant children’s book can teach you about the power of simplicity. Read poetry to learn about the strength carried by individual words and the energy found in absence. Read genre fiction to explore the strength of plots and the interwoven storylines of characters. Read non-fiction to understand structure. And read like a writer, looking for those moments when you are immersed in the writing. When that happens, go back a few pages to discover how the writer did that to you. And write — try to do that every day. Write about what makes you angry, frightens you, excites you or makes you curious. When you write about what matters to you, it is true and honest writing. Learn to listen. When you are not making noise or immersed in your own thoughts, you should be open to the sounds around you. Use all five of the senses. Emotions are triggered by the senses and will create fine moments of “show” versus “tell” in your writing. 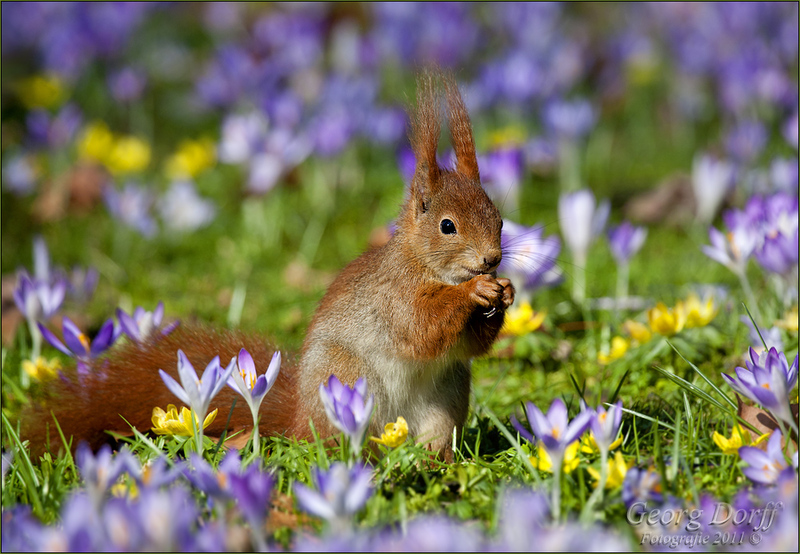 Especially the sense of smell, our most evocative sense when it comes to memory and resonance. Take workshops and attend conferences and seminars. They help you meet other writers, which is invaluable as you build your network of colleagues and contacts, always helpful in the publishing process. And taking workshops or going on retreats lets you experiment with new approaches to writing. Play with it all. Don’t worry about making mistakes. Some of my best writing has come from my mistakes. Thank you again, Laura, for asking such wonderful questions and sharing my words with your readers. This entry was posted in Books, Guest Blogger, Writing on February 18, 2013 by lauralibricz. Today ML Katz, author of Raft People, is here to talk about her novel, her new work-in-progress and to tell us a story! Where did you get the idea to write an apocalyptic novel about seal level rises? I had a lot of sources for inspiration. I read Stephen Baxter’s Flood and Ark which explored this idea. I also endured my share of Gulf Coast storms the past few years. Surviving and enduring the event, and the aftermath, makes you think about things. What if things were even worse, and what if it took even longer to get help? Would neighbors band together and help each other? When did you first start thinking about writing a novel? I think I have wanted to write a novel since I was in first grade. I have always been an avid reader, and I tend to get drawn to science fiction, though I read a lot of other genres as well. Amazon, and other e-book distributors actually gave me the tools to live that dream in middle age. Who helped you get started? I started out in a very solitary and secretive way. I guess I just wanted to get it done before some random comment discouraged me. But I did have some close friends who unselfishly gave me their time to act as beta readers. In the end, I did engage a professional proofreader and editor, and I wish I had done it sooner, but I cannot turn back the clock. Who would enjoy Raft People? I think the book is suitable for most readers who enjoy family adventure stories or apocalyptic fiction. It is not a blood-and-gore book. There are moments of excitement, but most of it is about enduring and rising above the current situation in order to survive a crisis. I have had adult female and male readers tell me they stayed up well past their bedtime to finish it. I have had adolescents tell me it was not too boring. So, you know…..
Hopefully some of you will stop by the ML Katz Author Page on Amazon to learn more about my books. So, here’s the hot question. Have you ever built a boat? That is so funny. A lot of people read my descriptions and left reviews and comments that said I must know a lot about boat building. I did research the topic, but most of it came from my imagination. Please do not use my descriptions as your guide. Where can we find you online? Do you have a blog? Please visit me! 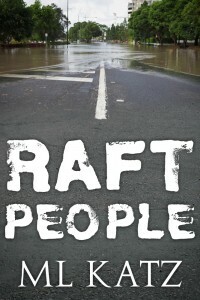 RaftPeople.com is my author blog and it is a fictional website in the story. You can also learn more about my other published book, The Information Thieves, and my current work in progress. I also run Publishmyself.net and FreeBookBeast.com. These are resources for independent authors and readers. I would like to invite any authors or service providers to stop by and suggest guest posts too. You’re a storyteller. Tell me a story in 100 words or less. There was this middle aged, first time author who built a time machine and fixed the mistakes she had made as new author! She also went back in time and purchased some Apple stock in the 1980’s. Now she lives happily ever after. Do you have any advice for a budding writer? If you possibly can, spend some money on a decent editor / proof-reader, plus get a nice cover. These things matter so much. I hate to see anybody have their talent and hard work wasted because of some very avoidable mistakes. At the least, get an educated friend to provide a second pair of eyes. It is very difficult to catch mistakes in your own story. In my opinion, getting through the first draft is the hardest part. Take criticism in the spirit that it was intended and try to make the best product you can! Also, try to avoid taking yourself too seriously. When you do publish, you will become public property. Hopefully most people will have nice things to say about you, but you will not please everybody. I would like to finish a fairly short horror novel I have been brooding over for quite some time. Then I have had an idea for a historical fiction/romance/fantasy story in my head for years, and I want to see if I can get the strength to begin it! I also need to dedicate more time to promoting Raft People more. I am making steady sales, and have enjoyed decent feedback, but I am not an extremely visible author. I need to change that. What Kind Of Novel Is Raft People? A perfect storm of natural and man name events collude to make the world’s oceans much bigger and dry land a lot smaller. The old Gulf of Mexico turns into the new Sea of Mexico within months. The wealthy and powerful retreat to elaborate, high tech ocean habitats. The military struggles to cope with the rest of the threatened population, but their resources are quickly overwhelmed. Ordinary struggle to evacuate, but most are caught out on clogged roads with too few supplies. A few thousand eccentric flood victims realize that their only hope is to float out. They become Raft People, hoping to survive on small or home made rafts, boats and other types of water craft. This story centers on the the recollections of Dr. Elizabeth Green, and some other members of her small group, as they can piece their story together fifteen years after the worst of the catastrophe. This entry was posted in Books, Guest Blogger, Writing on February 12, 2013 by lauralibricz. 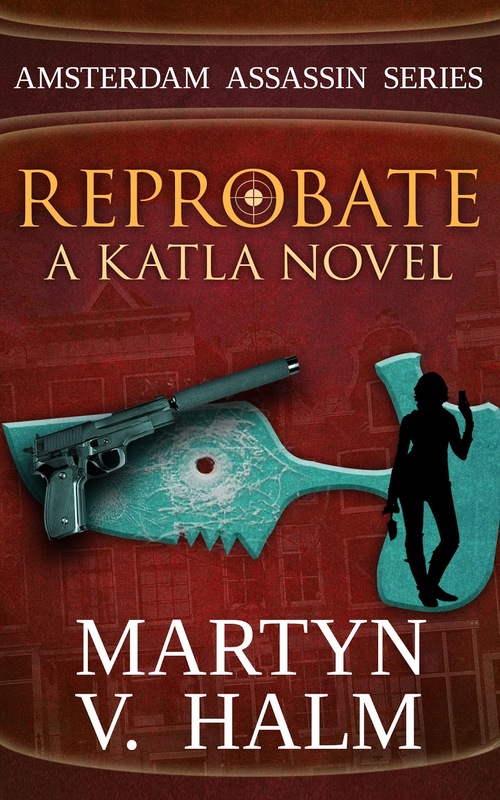 I’m reading Reprobate by Martyn Halm. And I’m really happy to have him here today to talk about his books, why he likes to write and what inspires him. 1.) Tell us about yourself – what do you like to write? How long have you written? What prompted you to start writing? I’m Martyn V. Halm, and I’m a professional liar. No, strike that. The professional part came later. I’ve always enjoyed telling grandiose stories. However, if you tell grandiose stories and people assume they’re true before they find out that they’re not, you will be labeled ‘liar’. And I’m not. I’m a confabulator (from Latin confabulatus, past participle of confabulari, from com- + fabulari to talk, from fabula story), someone who fill gaps in memory with fabrications. A storyteller, not with the explicit intention to deceive, but to amuse. And because telling stories gives you a dry mouth and a limited audience, I decided to tell my stories through books. Because I like ambiguous characters, I write about criminal protagonists and, since I live in Amsterdam, I decided to make that the setting, which led to the creation of the Amsterdam Assassin Series, about Katla Sieltjes, a female freelance assassin. The Amsterdam Assassin Series currently features two books and two short stories at the moment, available in e-book only. During a brief sojourn in unemployment and without the financial means to go out on the town, my friends and I told stories to amuse each other. My stories were praised and people told me I should write a book. Although I’m an avid reader, I didn’t really like writing essays at school, so I nixed the idea, but it hovered around in the back of my mind. A few years later while working long boring night shifts as a security officer, I would often spend six hours out of every eight-hour shift reading and studying. I had an idea for a story and started writing, first in Dutch, later in English. At first I wrote on a typewriter, but when I received my vacationing money, I spend it on an Apple Powerbook 150, which I carried everywhere. From that moment on, I took myself seriously as a writer. As I couldn’t follow classes on writing crime fiction in Amsterdam, I bought self-help books for writers and became an autodidact. 2.) What types of books do you like to read? 3.) Do you have another author that you model yourself after? Not really. I did read quite a few books ‘on writing’, and I value the advice of Sol Stein, Lawrence Block and David Morrell on the craft. 4.) What inspires you to write a story? Sounds weird, perhaps, but I’m writing the books I was looking for but couldn’t find. I always enjoyed stories about assassins, but my opinion on assassins differed from the books I read. Since most fictional assassins are antagonists, they are often warped individuals, with freaky childhoods. However, I’ve come across mercenaries (basically the same field), who are pretty regular people. Sure their view of the world differs from ordinary citizens, but they’re not ‘warped’. That made me want to write about an assassin who has no deep-seated frustration or abused childhood, but who just realised that killing was what she was good at and who had the appropriate world view and lack of conscience to pull it off. 5.) When a story idea pops into your head, how long does it typically take to write it (from start to finish)? I find I’m working faster, with less rewrites, as I’m getting more experienced in writing. Still, I can’t even put an estimate on the time elapsing between the first inkling of a story and the published book. Some ideas percolate in my mind for years, decades even, others, like backstory on minor characters pop into my head while I’m writing about them and they get inserted into the story immediately. I also find that many characters, like Chang, the sniper in Peccadillo, come to me fully formed. I remember writing the first chapter where he appeared without any rewrites necessary. Likewise, his assistant Ah Sung and the gunsmith Manfred Kiekendief came to me straight like that. 6.) What did you find to be the most difficult part of the writing process? Easiest? Most difficult… If we’re talking about the writing, it’s striking a balance between showing and telling. Both are necessary to get the story across, but I’ve tossed quite a few books where the story was told when she should’ve been shown and vice versa. If we’re talking about publishing, the most difficult thing is promotion. I’m a pretty social guy, but I don’t really like to flog my work upon the unsuspecting public. Most of the time, you hope the quality of the writing will draw the readers in, but the readers have to notice you first, which gets hard with 350,000 books being published per year. There’s a saying that people have to be reminded three times about something before they notice, so that makes it even more difficult to stick out. You want to tell people, ‘Hey, just check out a free sample of my work’, but even that is a major imposition on many people. The best thing to happen is that readers who love Reprobate recommend the Amsterdam Assassin Series to other readers. Every writer who talks about their books will be viewed with wariness, but personal recommendations by disinterested parties are the best advertisement you can wish for. Easiest with writing, for me, is often dialogue, which is also one of the reasons I’d toss a book. If a book has bad dialogue, I’m unable to suspend my disbelief. And I love creating minor characters who, although they appear only briefly, appear to have enough depth to be main characters in another story. 7.) Tell us about your book. Where can readers find it? Do you have a website? Blog? The Amsterdam Assassin Series by Martyn V. Halm. The Amsterdam Assassin Series revolves around freelance assassin and corporate troubleshooter Katla Sieltjes. Under the name Loki Enterprises, Katla specialises in disguising homicide and providing permanent solutions for both individuals and corporations. The first novel in the Amsterdam Assassin Series, Reprobate, marks the first time Katla breaks one of her own rules, and how this affects both her personal and business life. The second novel, Peccadillo, shows what happens when you attempt a hostile takeover of an assassin’s legitimate business cover. The third novel, Rogue, is planned for release in 2013. While the novels can be read out of order, reading them in chronological order might be more enjoyable. Between the publications of the novels, the Amsterdam Assassin Series also features stand-alone short stories, the Katla KillFiles. The Katla KillFiles chronologically precede the novels in the Amsterdam Assassin Series. Each KillFile features Katla executing one of her contracts before the events in Reprobate, and, while not mandatory reading, each KillFile provides insight both in Katla’s work methods and skill, and additional background information in her character and personal history. The KillFiles can be read out of sequence, as the contracts are random samples from her past. Each KillFile also contains a teaser from the novels in the Amsterdam Assassin Series. The Amsterdam Assassin Series is available in ebook only, through most major ebook retailers, like Amazon, Kobo, iTunes and Barnes and Noble. I have a blog, http://amsterdamassassin.wordpress.com/, and a website, http://tao-of-violence.weebly.com/, with more information and links to the websites where the books are sold, additional material and news about promo and publication dates. The Amsterdam Assassin Series is available on Amazon, iTunes (iPad), Barnes & Noble, and Kobo. This entry was posted in Books, Guest Blogger, Writing on February 5, 2013 by lauralibricz. But I have started to follow my dreams. This entry was posted in Guest Blogger, Poetry, Regina Holm on February 1, 2013 by lauralibricz.